This colour is riiiiight up my street and thought it would be perfect this season for a couple of get togethers or Christmas parties. I actually got this free with the help of TopCashback, which I found to be a really easy process- I literally followed the link, chose my colour and waited about a week and a half before receiving my money back. Though I must note they do charge you a £5 membership free but still you’re getting MAC for a fiver which is still a pretty amazing deal. I love MAC and this is a great colour that will go with pretty much anything. This is my absolute skin saviour this time of year. 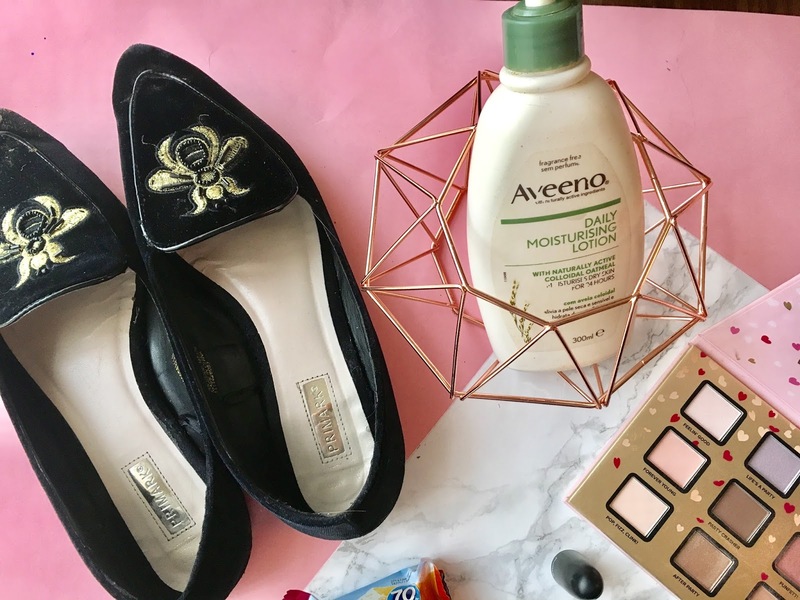 Dry face, dry hands, name it I’ve got it, which is why I always keep a good moisturiser on hand to top up whenever. 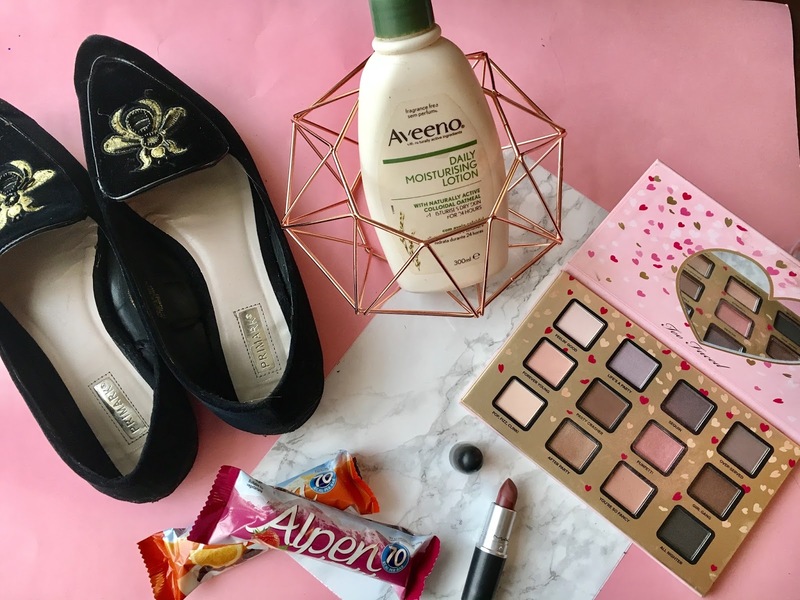 Aveeno is one of my favourites, giving me moistured skin and it isn’t too scented- which is great if you have very sensitive skin like mine. They even do travel size bottles that are handy just to slip into your handbag! How cute are these?! For only £8 they are a bargain and they’re the comfiest shoes ever- I practically wear them everyday for work. Although I must admit the velvet hasn’t taken well to the surprise snow days we have had this week, but still they’re great just to simply slip on for a shopping trip or a night out. Primark have some really gorgeous shoes right now for the festive season so make sure to check them out. Sorry to be that guy, but since starting back on Slimming World I have found these to be the perfect go to snack or I even have them for breakfast- as I always forget to eat breakfast. 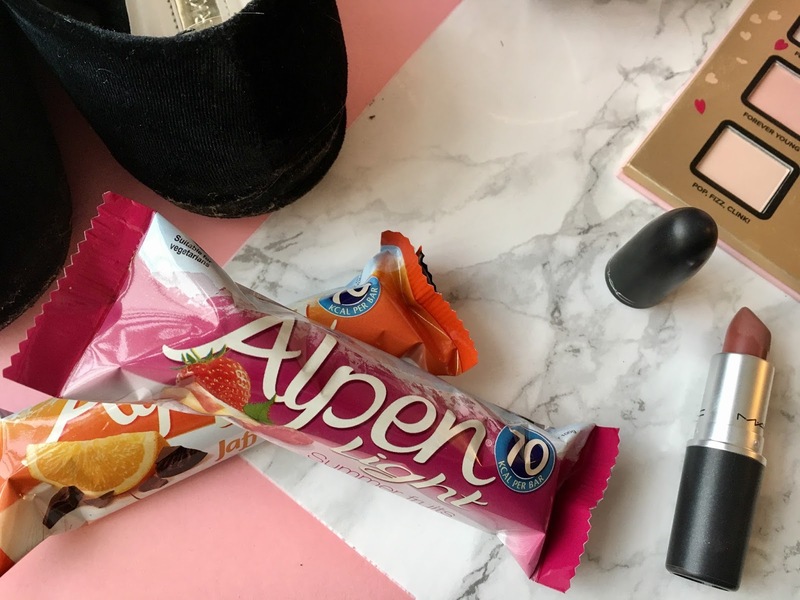 I love the summer fruits and chocolate orange flavours and they’re a healthy grab to eat. 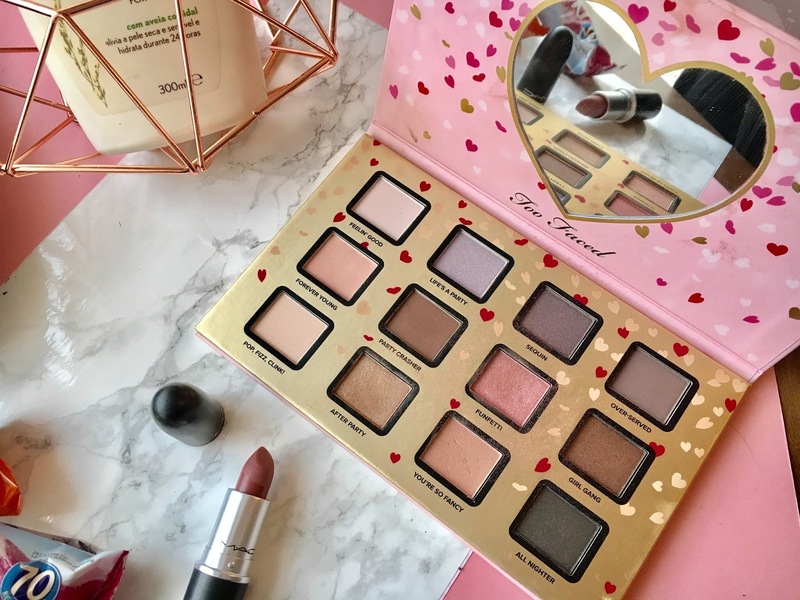 I won this gorgeous palette through a Twitter giveaway not long ago and how fab is it?! I have been so excited to try a Too Faced product and I definitely wasn’t disappointed! I love all the different pinky shades, which is something I’m more likely to wear on a daily basis. My favourite shades that I have used the most in November are Funfetti and After Party, but I imagine I’ll be using this palette more and more with Christmas and New Year coming up.